Day 298 - Friday Fail: Down but not out - also come see me July 2 in NYC! Still trying to pack up 14 years of house and move it to a Brooklyn apartment, and that is taking pretty much all my time these days. Since I seem to be a failure expert I will try to practice the number one rule about failure: that it is a temporary condition. I will get back to the blog soon, and fill in the missing posts before this one. 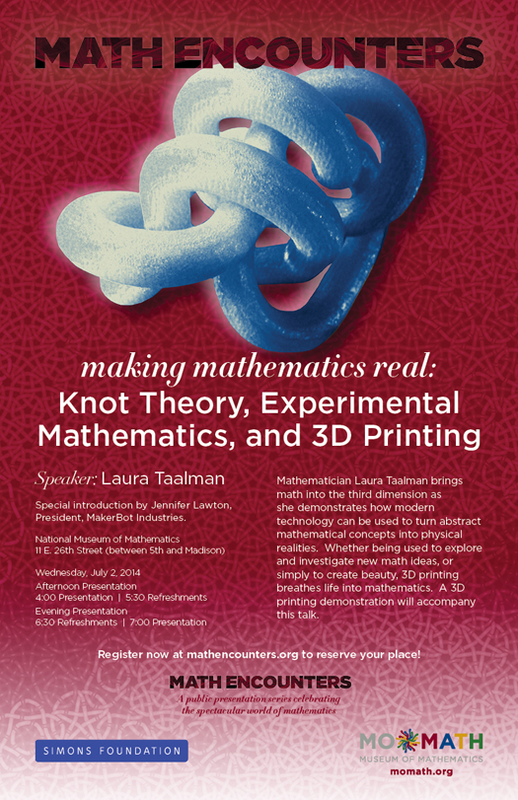 In the meantime, if you live in the NYC area, you might be interested in my Math Encounters talk about mathematical 3D printing at MoMath, the Museum of Mathematics, on July 2. That's just one day after we move so I'll probably be very well-rested and give an excellent talk, right? Notice the giant 10_125 knot from Day 11 featured on the poster! And that Jennifer Lawton, President of MakerBot, will also be speaking! 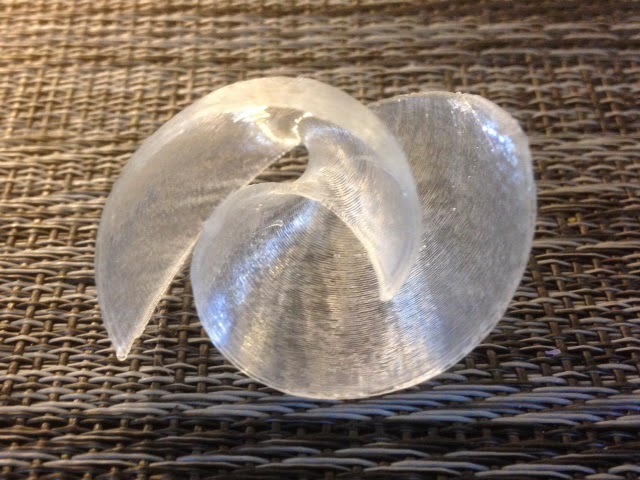 Settings: Printed on a MakerBot Replicator 2 with translucent filament at 30% scale, on .3mm/low with a raft, on blue painter's tape on a glass build plate, in just 14 minutes.